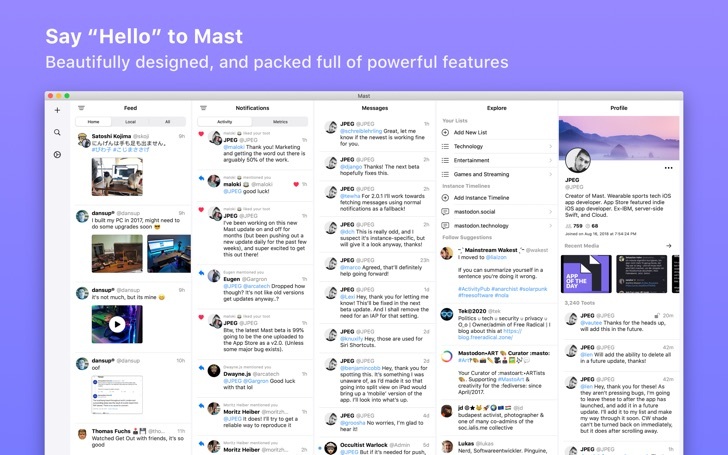 “What is Mastodon?”, you may ask. Well, it’s a federated and decentralised social network. Think of it as email, where you can choose your provider, yet talk with almost anyone from anywhere regardless of their choices. 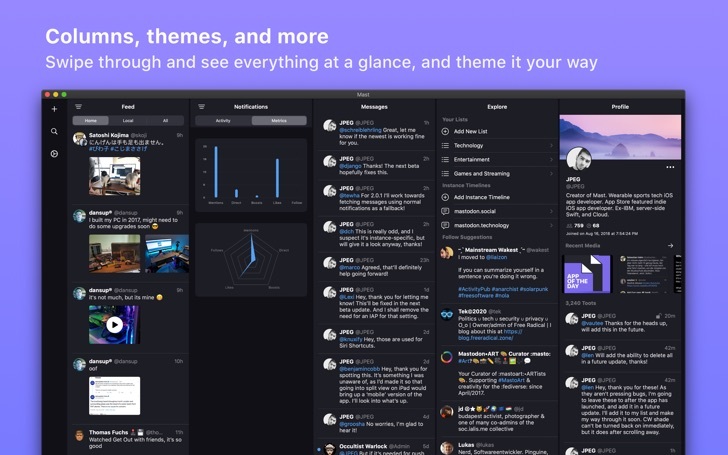 The instances on Mastodon and Pleroma give users freedom to find their community, whilst allowing everyone to talk with each other with the level of visibility that they want. The content warning feature makes it safer, and the increased character count makes it far more expressible. It’s what microblogging should have always been.